Shabby chic vintage distressed effect flower vase or pot holder. 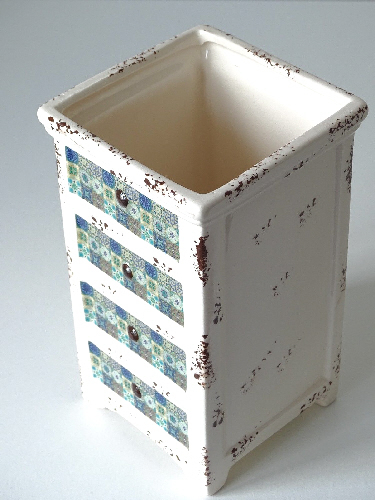 This gorgeous ceramic drawer style pot would make a fabulously quirky vase for a bunch of flowers, as well as being a delightful way of storing various other bits and bobs too. Please see other matching items. For more info’ please follow this link.